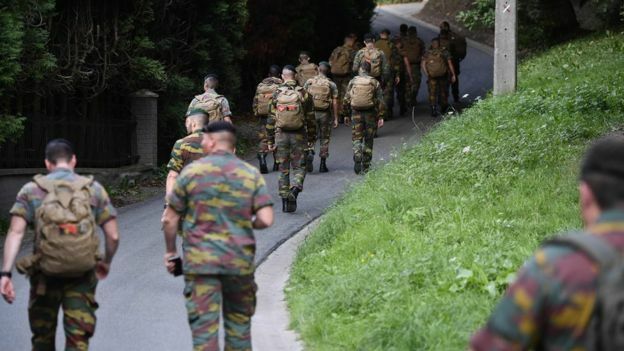 Troops are searching an area of eastern Belgium where a pilot fell out of his military helicopter during an air show. Three troops had jumped with parachutes from the Agusta A-109 helicopter, but the pilot and co-pilot did not have parachutes, Belgian media report, quoted by BBC. They said the co-pilot helped the three jump, but then saw the pilot's seat empty and his door wide open. He grabbed the controls and landed safely. The air show was at Amay near Liège. The pilot fell several hundred meters. The reason for the pilot's fall remains a mystery.